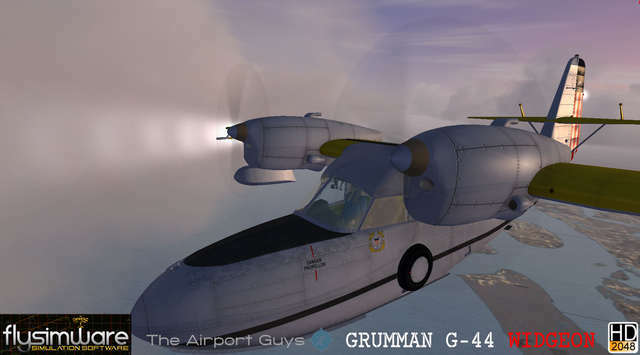 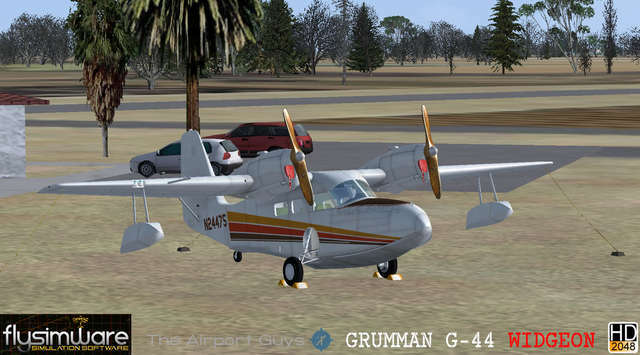 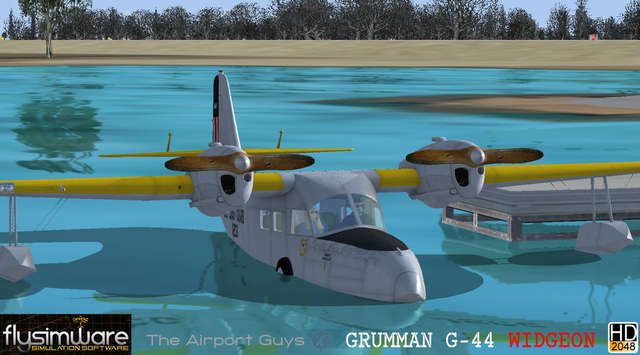 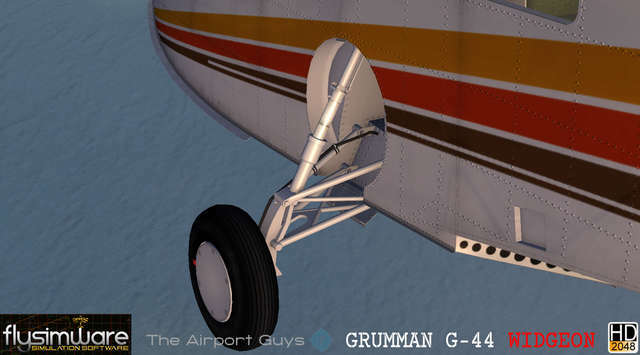 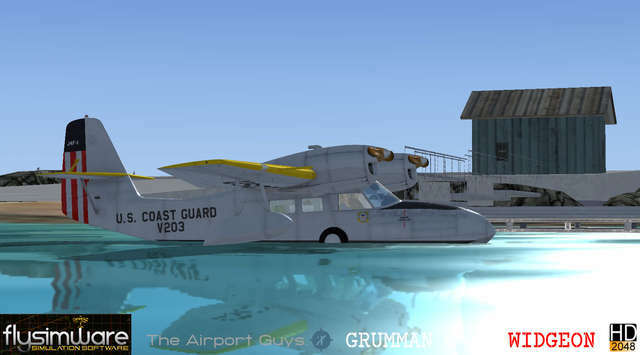 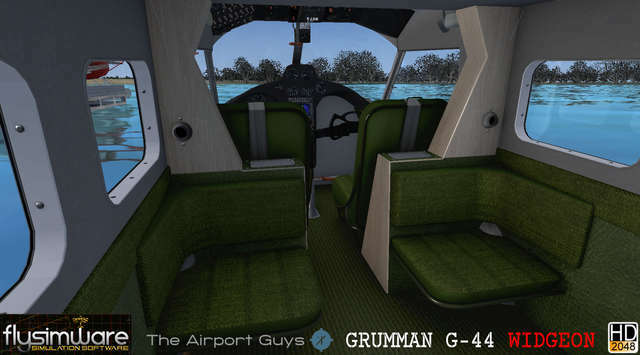 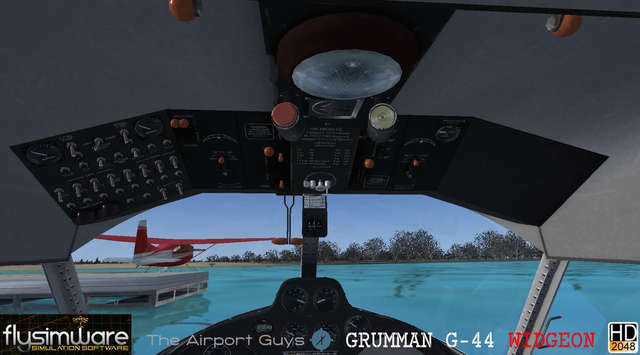 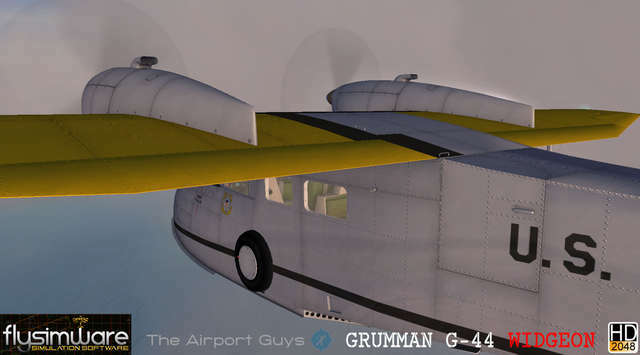 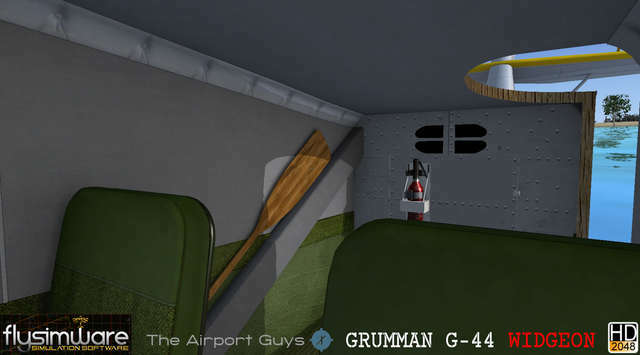 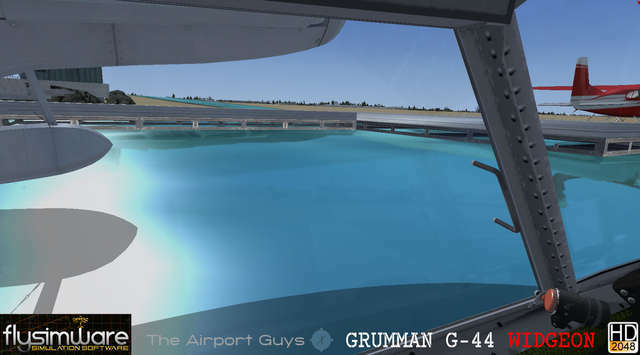 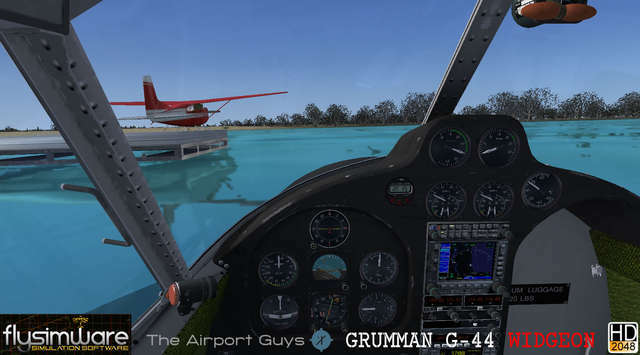 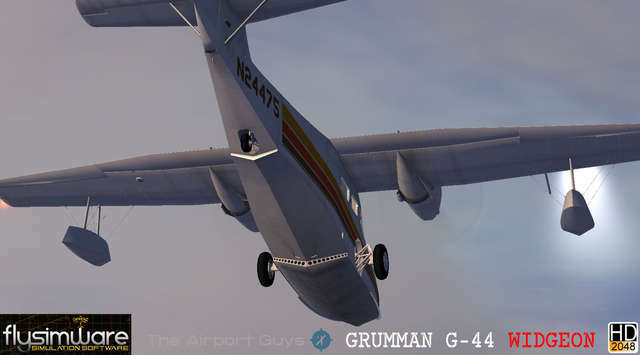 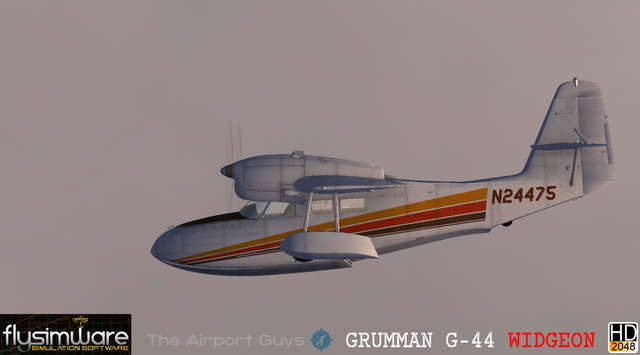 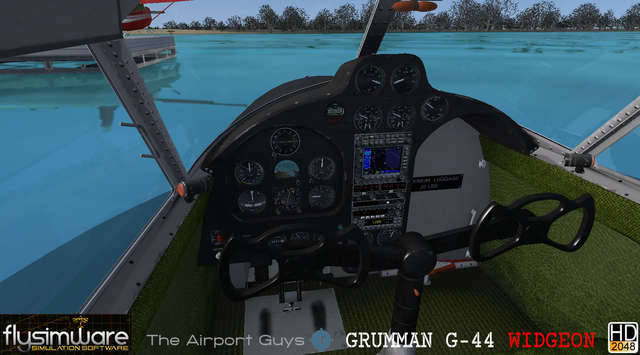 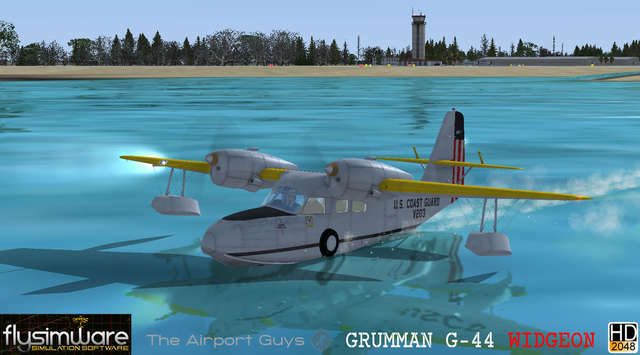 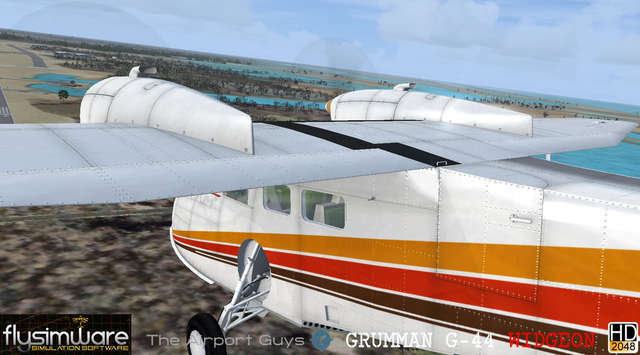 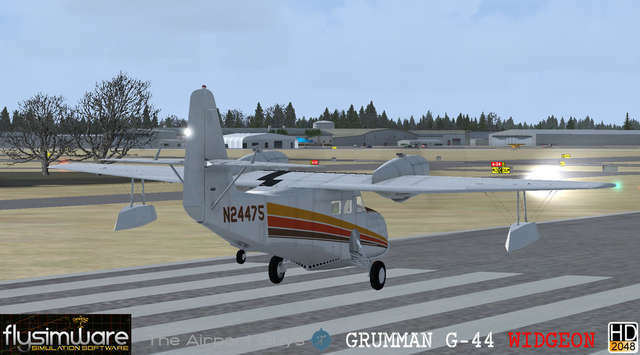 Almost all parts of Flysimware's Grumman G-44A Widgeon are animated throughout the interior model and accurate systems are custom-coded down to the smallest details. 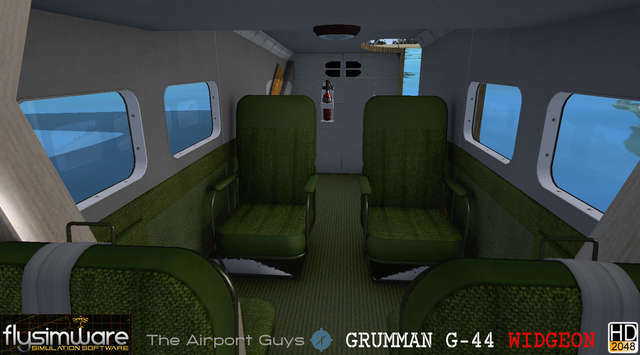 The aircraft includes Flysimware's GNS 530 and a pop-up windows for a service hangar, aircraft options, start-up procedures and a live Payload Manager. 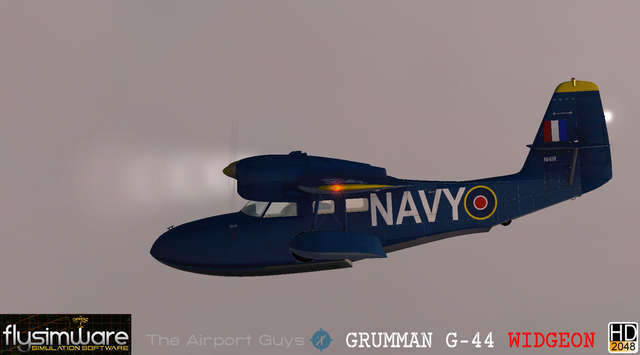 This is Flysimware's first model to be developed with 3DS MAX giving you full AO effects on all 3D parts. 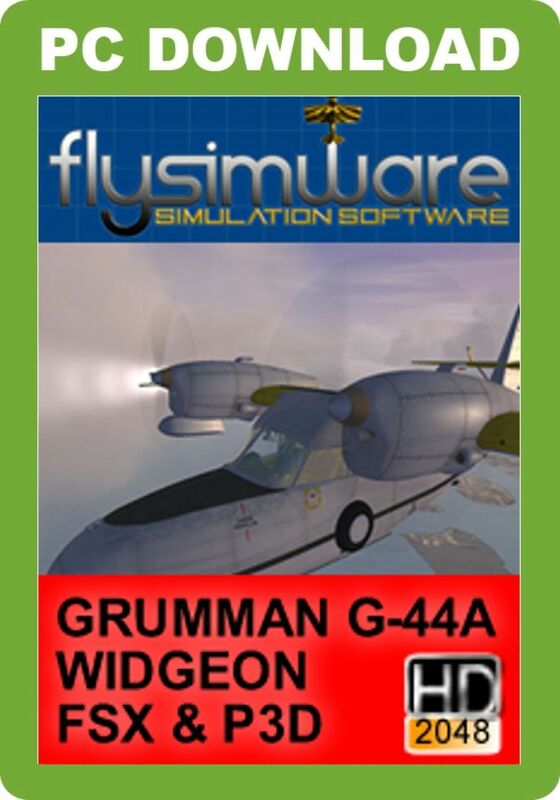 The Widgeon was originally designed for the civil market. 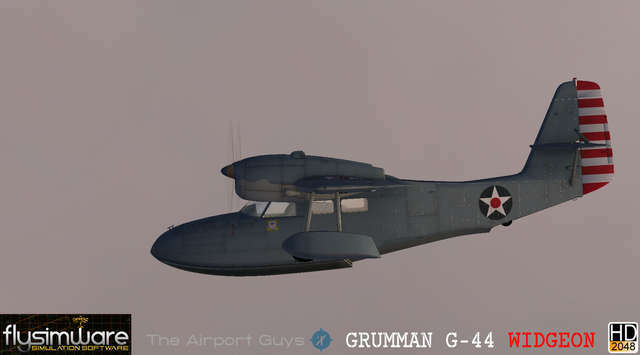 It is smaller but otherwise similar to Grumman's earlier G-21 Goose and was produced from 1941 to 1955. 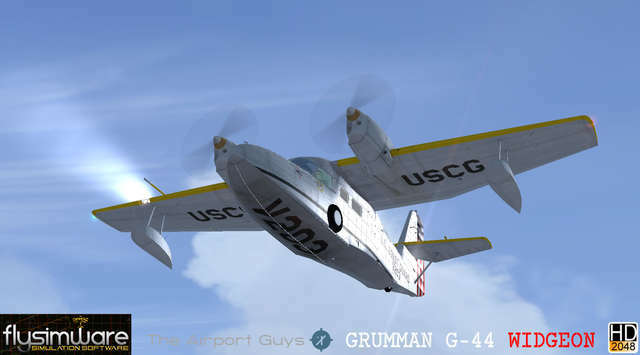 The aircraft was used during World War II as a small patrol and utility machine by the United States Navy, US Coast Guard and by the Royal Navy's Fleet Air Arm. 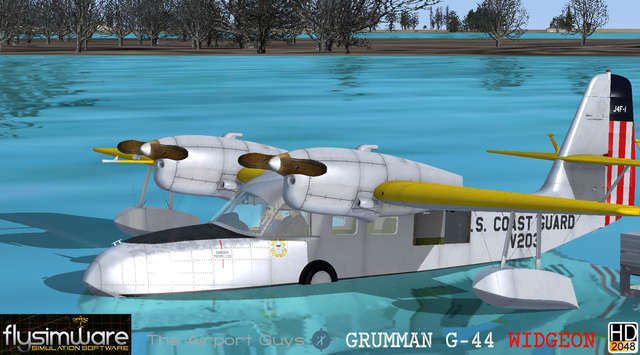 The first prototype flew in 1940, and the first production aircraft went to the United States Navy as an anti-submarine aircraft. 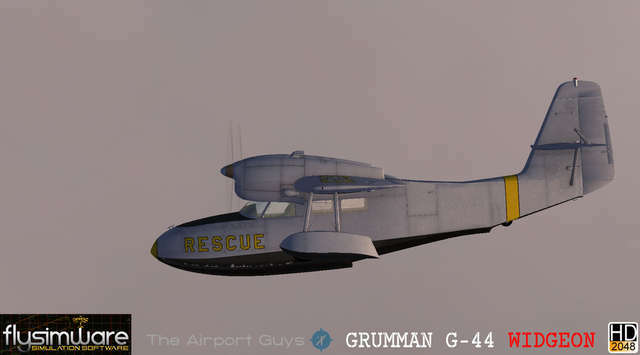 In total, 276 were built by Grumman, including 176 for the military. 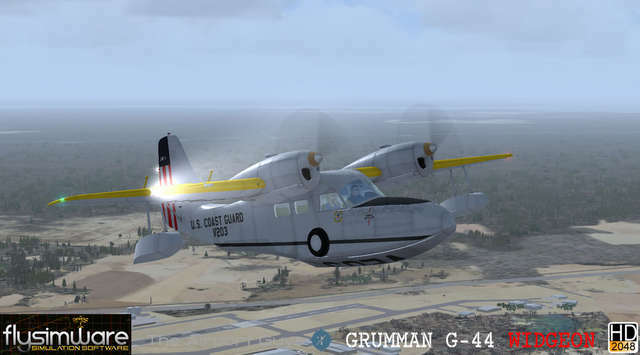 During World War II, they served with the US Navy, Coast Guard, Civil Air Patrol and Army Air Force, as well as with the British Royal Navy, who gave it the service name Gosling. 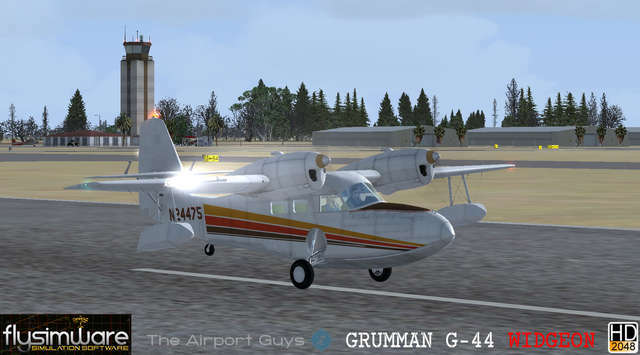 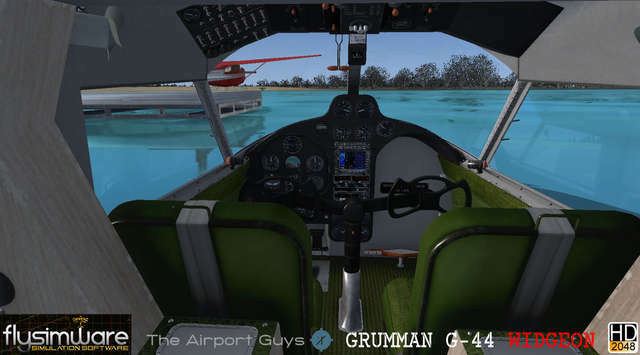 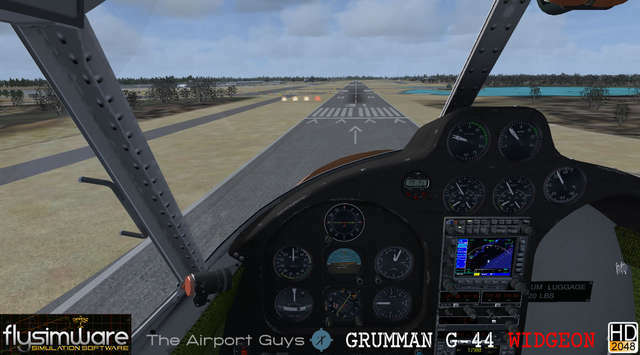 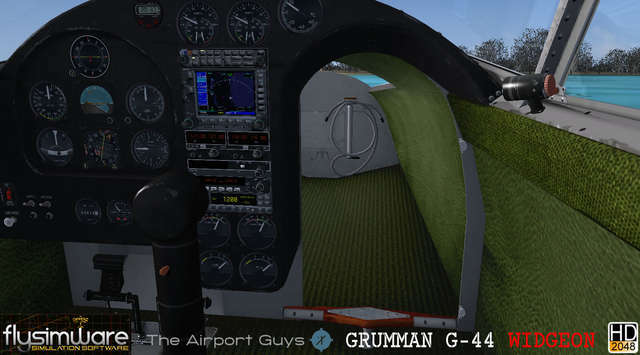 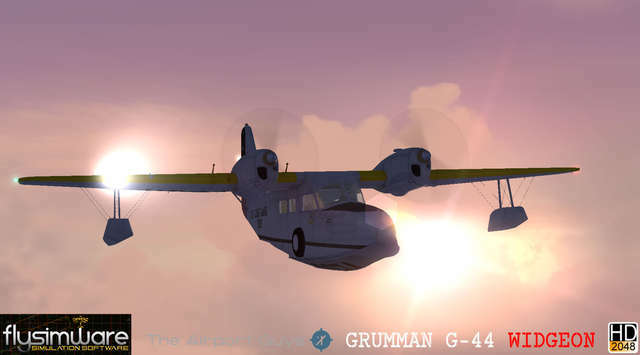 Flysimware's highly detailed G-44A Widgeon comes in five HD paint schemes and is equipped with a shareable cockpit, custom coding for the gauges and animations, GTX330 transponder, Flysimware GNS 530, a live Payload Manager and animated pilots. 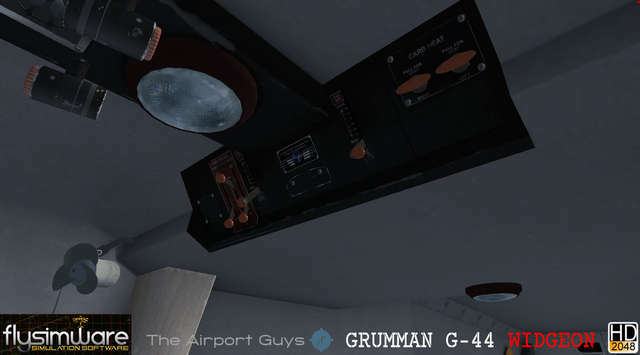 There's a service hangar for repairing engines or failures, a custom sound module for environment and interior sounds and an aircraft options panel lets you change aircraft modes and pilots.